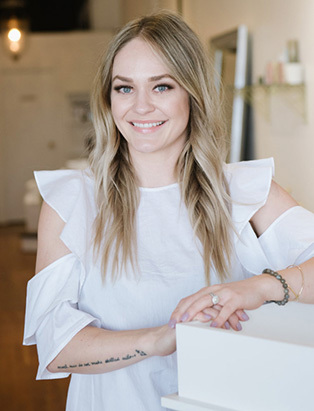 You’d hardly expect to find your hair’s next best friend deep in the corridors of one of the city’s busiest train stations – but that’s exactly where you’ll find Blanche Macdonald Pro Hair graduate Erin Murphy. 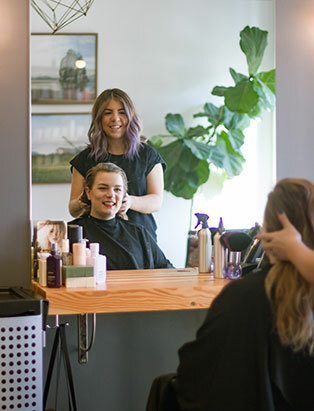 Nestled in Vancouver, a city famous for its artists and creatives, Erin has managed to build a steady clientele at her salon, carving a niche out for her instantly-recognizable hair skills just a few years after graduating from Canada’s Top Hair School. 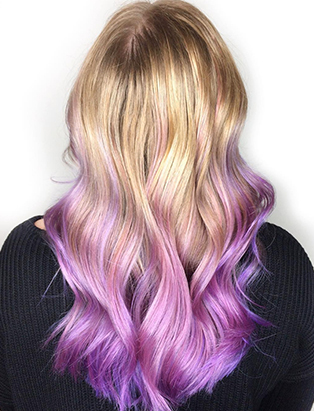 Recently recognized by both Allure and Teen Vogue for her superior holographic hair creation, Erin’s Instagram teems with her most luscious creations: from silky smooth balayages to dizzying dollops of the most electric colours you could possibly paint! 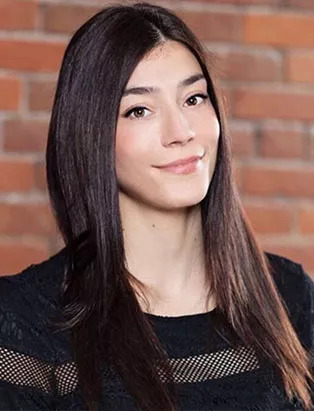 Stunningly sweet, gracious and humble, Erin is here to whip your locks into the frenzy you’ve always wanted. So firstly, tell us what a typical day looks like for you. Very busy! And always different. If I’m doing colours, I can usually do two big colour jobs a day. In between that, there may be some cuts or Instagram stuff that I can fit in, but everyday is always fun. And what is it about Juju that made you feel like it would be a good salon to call home? My friend worked here and was moving away so she messaged me saying how great a fit she thought I’d be and that I should apply. At first I was apprehensive because until then, I’d only been an assistant but I applied anyways and the owner really liked me and it’s been great! I’ve been here since last March and it’s an amazing fit for me. 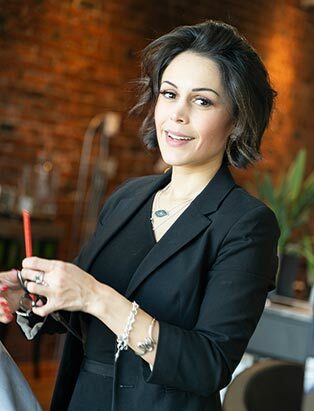 In a city where there’s so much competition amongst stylists and salons, how did you build such a loyal clientele in such a short time? It’s a hard thing to do! Word of mouth definitely helps. People notice nice hair and ask ‘Oh, who did that?’ but social media is huge. I’d even go so far as to say that Instagram brings me at least 75% of my clients. Luckily for us, our salon is also in a great location so we get a lot of traffic through because of that as well. 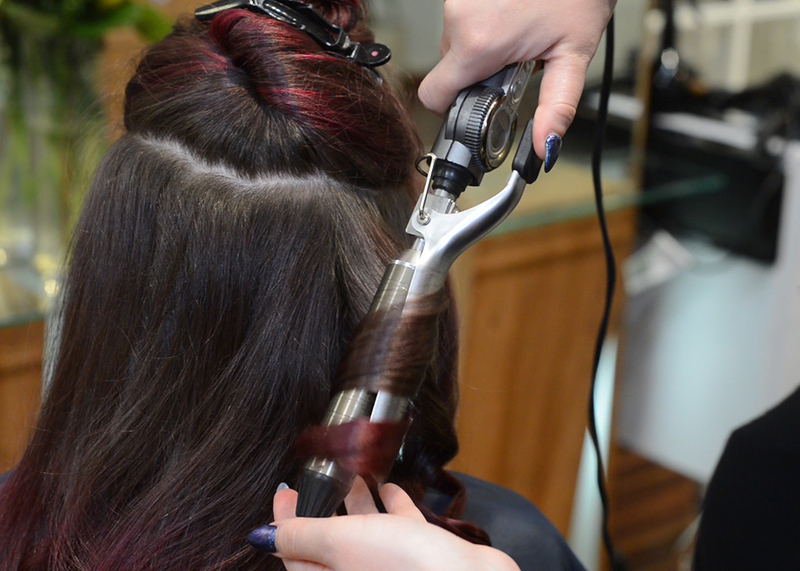 Can you tell us about the moment you knew you wanted to do hair? I was working in an office and one day I just looked around and was like ‘What am I doing? 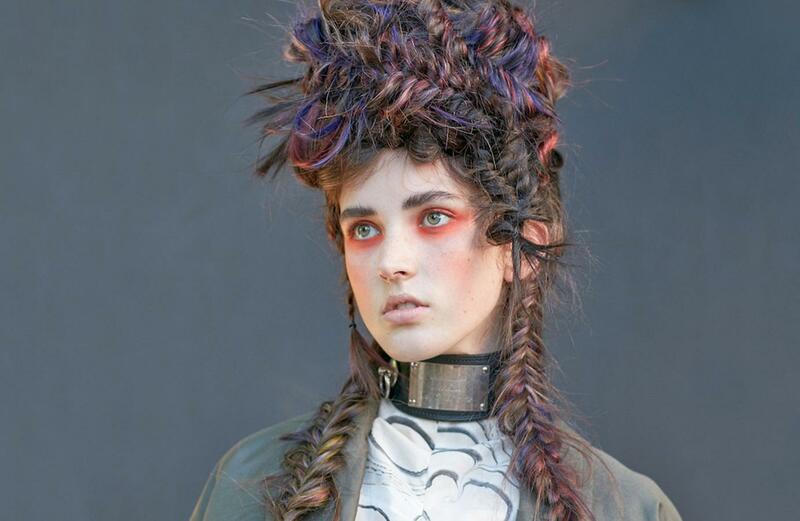 I need to be creative.’ I’d already taken the Makeup program at Blanche Macdonald and initially, I thought I’d take hair and be able to combine it with makeup but as soon as I started I loved it so much more than makeup and it became my main passion. And was your family supportive? My family is great and always supportive of me but they were a little iffy when I made the decision to go to hair school. 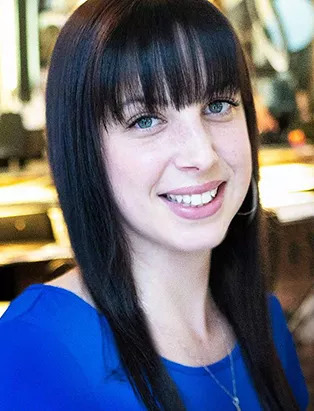 They knew I had a good job and so much security so when I said I was going to quit, they were kind of like ‘But, why?’ Then they saw how passionate I was and now that I have a job I love, they’re so happy for me. So what made you choose Blanche Macdonald? 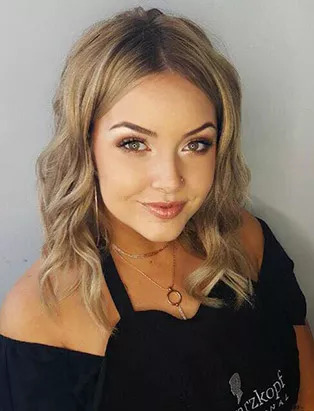 I lived on the island when I was looking into schools so I basically just Googled a bunch and Blanche Macdonald came up and had by far, the most recognition and best reputation out of all the hair schools I looked at. When I came to Vancouver to check it out, I knew it was for me. When I decided to go back for hair, I didn’t even look anywhere else. 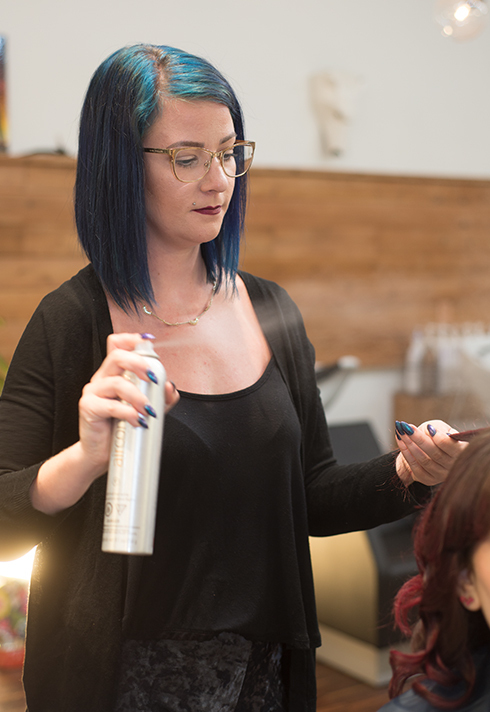 I really enjoyed the Makeup program and knew that I learned everything that I could possibly need to have a career in it and I knew the Pro Hair program would be the same. What was the most memorable day / time / teacher at BMC for you? That’s hard because everyday was so interesting! I loved all the instructors in the Hair program. 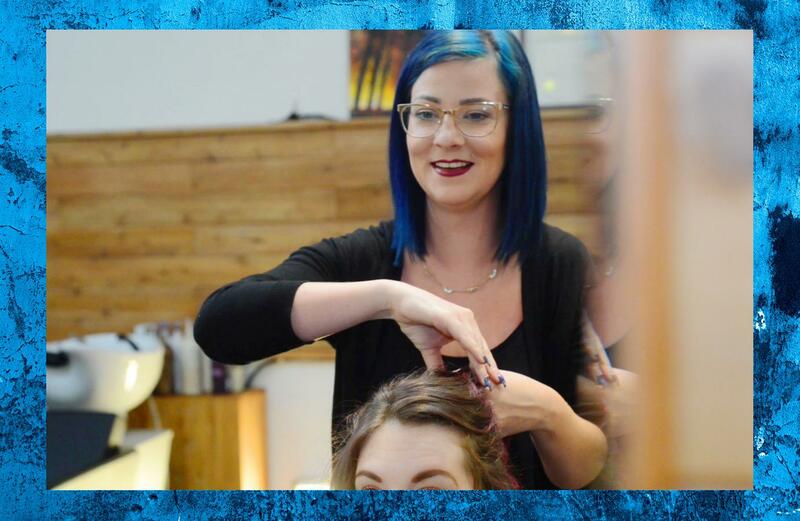 When we worked in [student salon] Q+A, they would always give me the clients who wanted something bright and fun because they knew that was what I loved to do. They were really great about helping us find and develop our niches as Hair Artists. 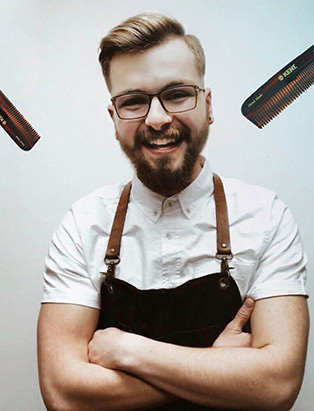 What’s your niche now that you’re out in the hair world? Definitely vivids! 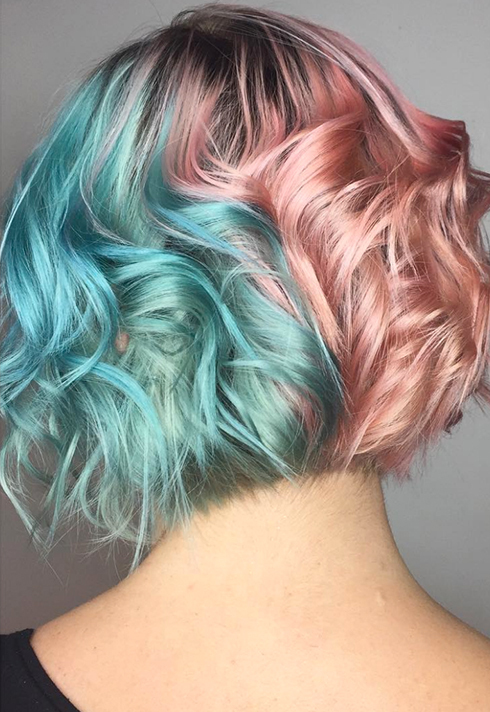 Any fun, bright colours or pastels. 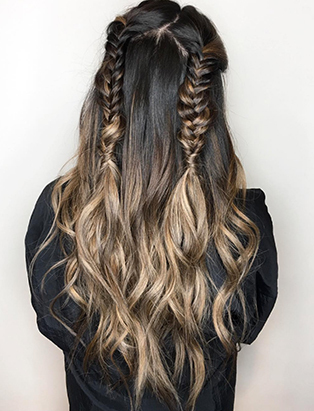 I love a good balayage too! 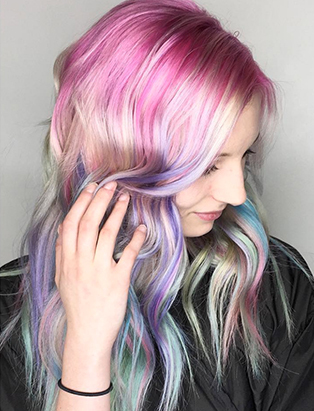 Recently I did a pastel holographic colour job for a client and it got included in a hair article in both Allure and Teen Vogue! That was such a good feeling. 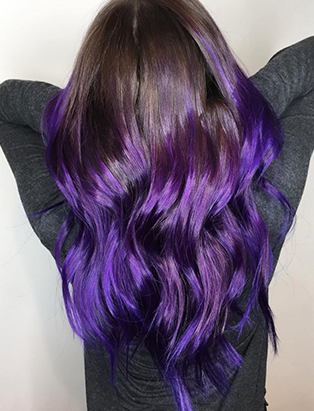 One of my clients sent me the article and I was going to respond being like ‘OMG, I love it!’ and then I realized it was my hair! 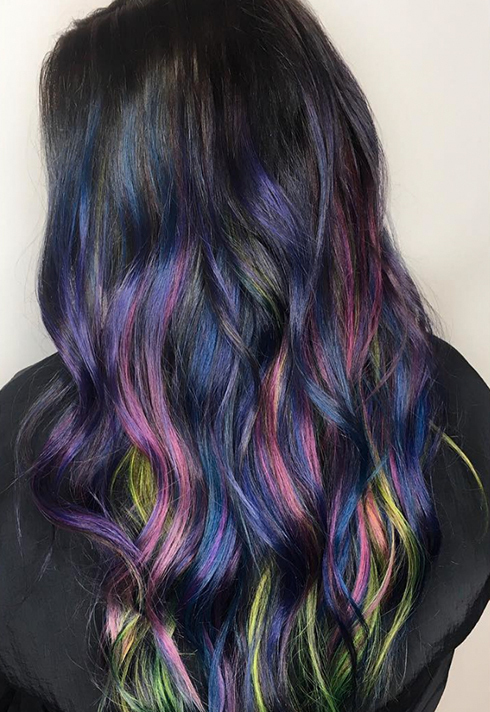 I’ve had a few clients come in that have seen it also and the salon was super proud of me so that was a pretty cool thing and definitely one of my best hair moments to date. So was there a certain technique that you learned and adapted to create the holographic look? Or did you teach yourself how to do it? I watch videos and techniques, of course, but it’s all about knowing the technique and then adapting it to yourself and your style. When I’m doing those types of colours, my co-workers always ask to watch how I do it but I just put colour where I feel it should go! To create these looks, you must have to keep constantly inspired. Where do you find your inspiration? From all over! I get lots through other work I see that I can build off of. Colour is a big one for me too, we always have flowers in the salon so lots of time I’ll get inspiration from the colour palette of our bouquets! 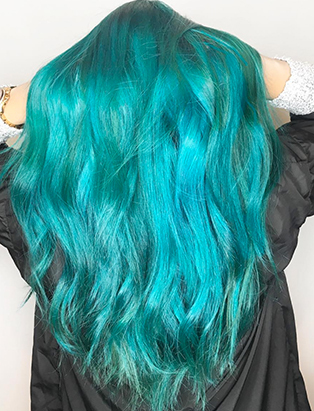 Is there a hair trend you’ve seen on Instagram that you’re loving right now? 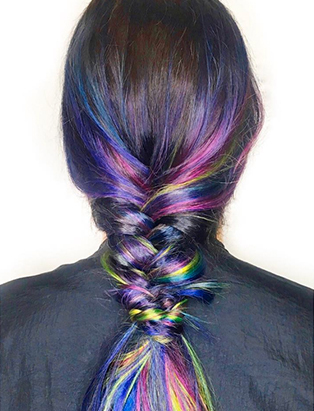 Maybe it’s the time of year, but I’m loving all the crazy festival hair in such fun colours with braids and things added in. I love it all! 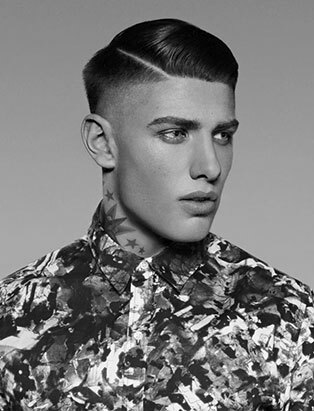 What about a certain cut or colour you’re dying to try out on someone? 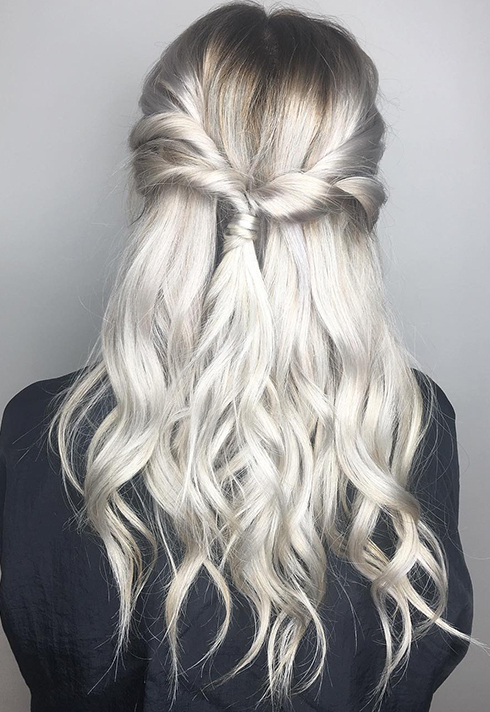 I get to do a lot of colour but there’s a few styles I’d love to be able to do – lots more braiding definitely. 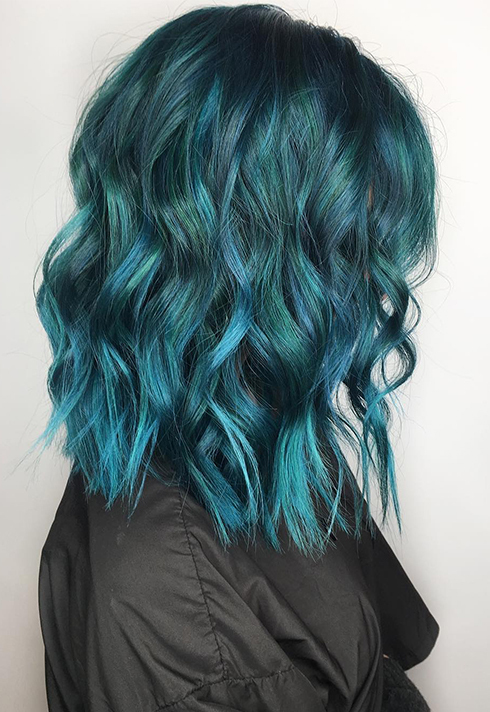 Things that are a little more ‘out there.’ But it’s hard to ask that someone stay to let you play with their hair and style it after they’ve spent four hours getting a colour process done! 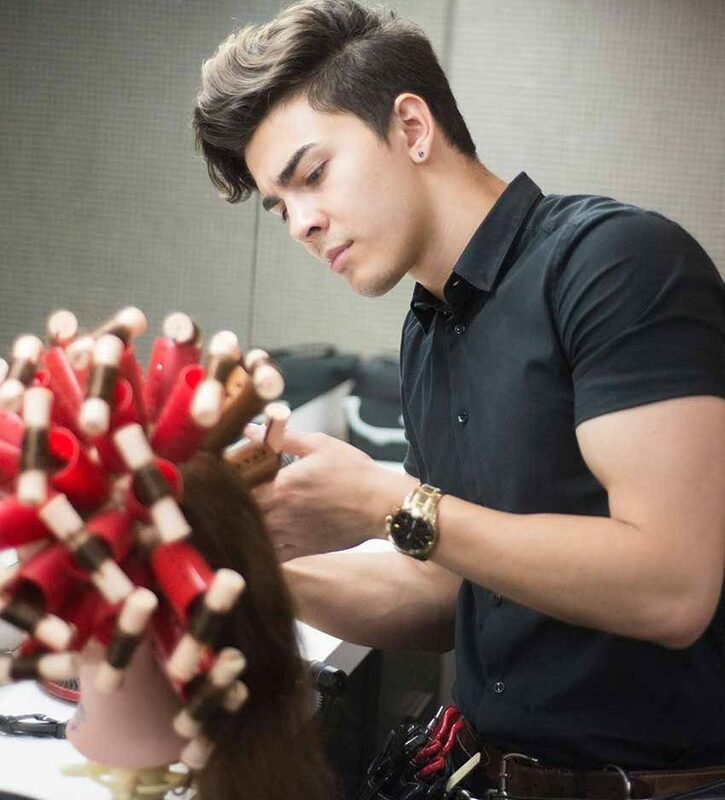 You’ve done so well since graduating, is there advice would you give to new stylists or people looking to get into the career? You’ve got to really put yourself out there. Get out and volunteer and meet people. It’s also very important to get into a salon where you can assist or apprentice to learn all you can. It’s definitely not a job that will just come to you if you just sit back and take it easy. What are some challenges of being a stylist? It’s definitely the hardest when you first start out, for sure. 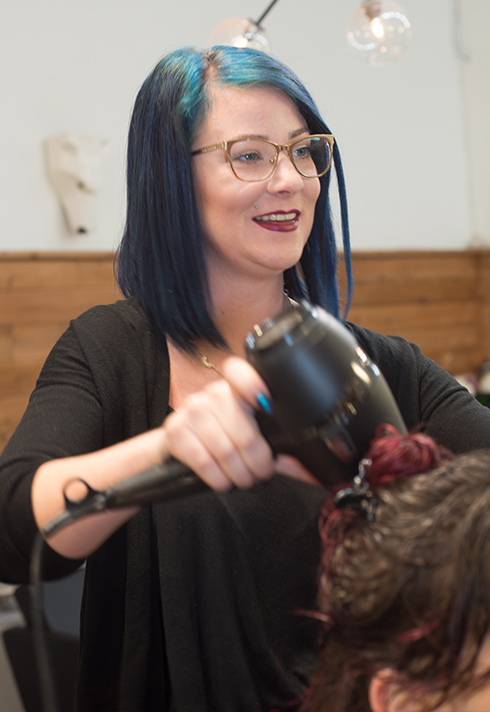 It’s super intimidating to put yourself out there, especially when you’re a new stylist. And what is your favourite part of being a stylist? I love doing what I do and I love doing hair! It’s really awesome to meet people that I do and hear their fun stories. Our area has lots of tourists from all over the world so it can be really interesting to meet them and get to do their hair!